We would like to introduce you to some special people. We met them on our travels and they become friends. On our BMW Enduro training in Hechlingen we met Sven who is a member of South America Big Ride. 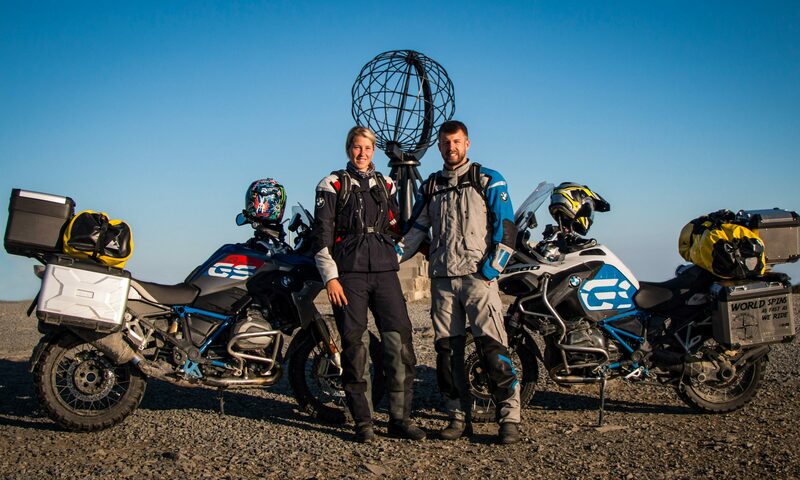 They did a tour through south america on their adventure bikes. He tell us some unbeliveble stories of their adventures during the trip. We met Malcolm, Mark and their friends on our Scotland trip. We did not know the system of the “Bloodbiker” yet. But we think it’s great! „The Blood Bikes are a service, ran by volunteers and funded by charitable donations, who carry blood, drugs, medicine and other medical items between hospitals and other locations. We do this at no cost to the hospitals so that funds may be used elsewhere. The National Association of Blood Bikes (NABB) is the UK-wide charity who oversee most Blood Bike groups. Mark and Malcolm Farley are two riders/drivers for Northumbria Blood Bikes, which covers the far North East of England, between Teesside, Cumbria and Scotland.“ – Mark R.
“Why am I going on a world tour? Because it’s my dream! Last year I experienced an exciting adventure in the mountains of Albania. Next morning I felt invincible. Since my decision was made … I go on a world tour!! In autumn 2018 he starts his two-year world tour. We wish Roy all the best on his travels.